Celebrate those amazing birthday memories with our gorgeous laser engraved wooden keepsake featuring our typography design. 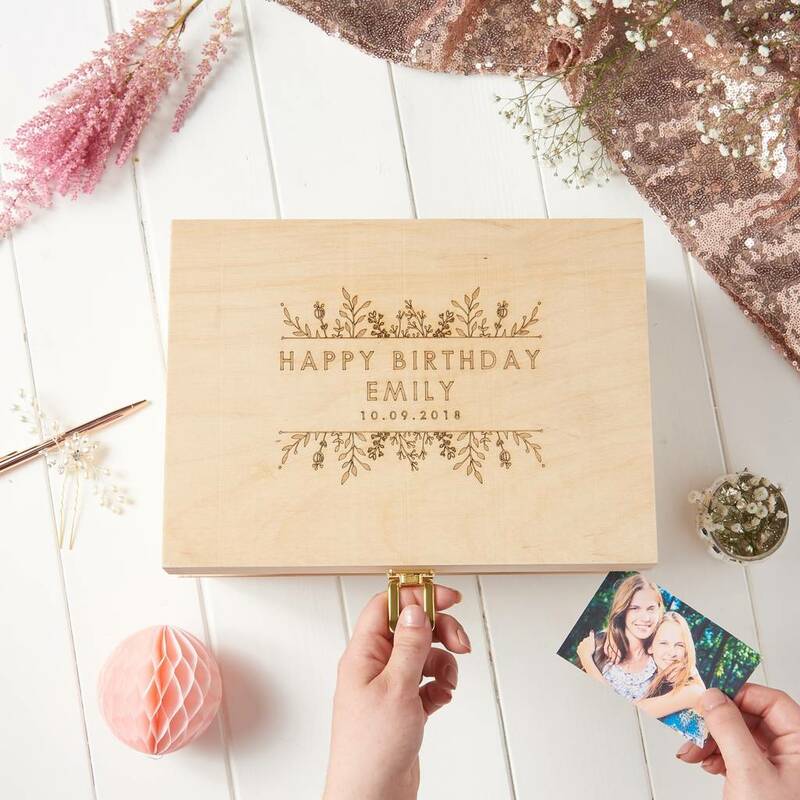 This beautiful keepsake box is personalised with the birthday girl's name, message and birthday. 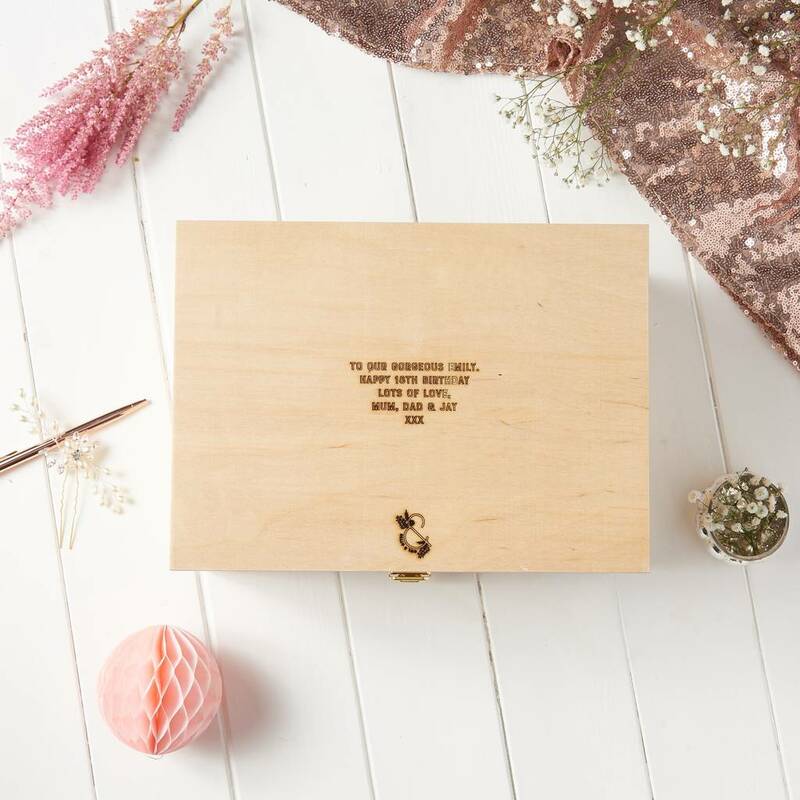 The box is a perfect size for photographs, festival tickets, cards and travel mementoes. to keep them safe and sound for years to come.